Everyone desires a good life. No one wakes up in the morning and hopes they have a bad day. A person might get up on the wrong side of the bed and grump his/her way through the first hours of the day, but nobody makes a conscious decision to deliberately have a bad life. We all want a good life. Students go to school hoping to have a good experience. Marriages begin with the hope of having a good life together. New employees start with the wish that there will be satisfaction in doing a job well-done. Parents dream of their kids growing up to have a good life. We want the kind of life that brings contentment, joy, and happiness. A good life comes through the fear of the Lord (Psalm 34:9-14). Yes, that’s right, the fear of the Lord. If we want to live a good life, it will have the fear of the Lord at the heart of it. We need to make an important distinction between good fear and bad fear. We as human beings are all too familiar with bad fear. Bad fear is being too afraid to take the steps necessary to have a good life. It is being insecure, risk-averse, and unwilling to take even a small step toward expanding my comfort zone. Bad fear causes people to retreat in bubble of anxiety that keeps them stuck and imprisoned in a small world of protection, unable to engage God’s big world with any effectiveness. Bad fear is to be afraid of what other people may or may not do or say. Fear of man will prove to be a snare, but whoever trusts in the LORD is kept safe (Proverbs 29:25). The way to overcome the fear of others and the fear of the situations that might happen is to have the good kind of fear, the fear of the Lord. The fear of the Lord means to honor and obey God, to be loyal and submissive. It does not mean being afraid, like the bad fear of people. If you want to lack no good thing; if you desire to see many good days; if you do want to simply survive in life but to thrive in it and love the life you possess; then, the first thing that must happen is taking the posture of listening. 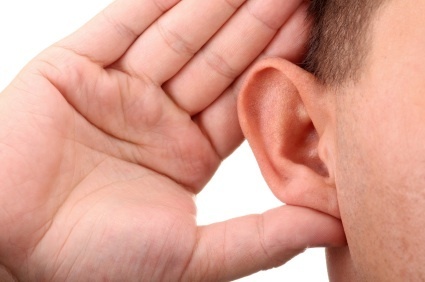 The Hebrew word “listen” literally means to bend or to incline the ear. It is to take a posture of listening in order to learn. The prerequisite to any kind of good life is to have a teachable-spirit that gives focused attention to the wisdom God has for us. A fool is a person who does not listen, but only mocks, complains, and is continually negative. But a wise person is one who has learned to be attentive to the voice of God. Whoever corrects a mocker invites insult; whoever rebukes a wicked man incurs abuse. Do not rebuke a mocker or he will hate you; rebuke a wise man and he will love you. Instruct a wise man and he will be wiser still; teach a righteous man and he will add to his learning (Proverbs 9:7-9). The fear of people is a death-dealing practice. But the person who fears God through the posture of a teachable spirit discovers a life-giving practice that will serve him/her well. The teachable spirit takes the posture of listening and learning from other people’s hard-won experiences. It bends the ear to good advice. It inclines toward acquiring knowledge and learning the skill set needed to live a good successful Christian life. There cannot be a good life without having a teachable spirit, seeking after learning, discovering, and listening. Therefore, Christians cannot learn if they will not read. The Bible is a book. If the Bible was a car I would tell us all to learn to be mechanics. If the Bible were a fish or a deer I would tell us all to learn the best ways to hunt and fish. If the Bible was a store I would tell us all to learn to be good shoppers and consumers. But the Bible is a book, and so we all need to read it, memorize it, meditate on it, and learn from it. Get in the Word of God! Wise churches will find ways to immerse themselves in Scripture and have moldable teachable spirits. If we desire a good life we will fear God and keep his commandments; we will be readers of Scripture and take the posture of listening and learning. If we want to experience the good life we will engage in personal reading, corporate reading, and bible studies. We will find ways to get into the Word!